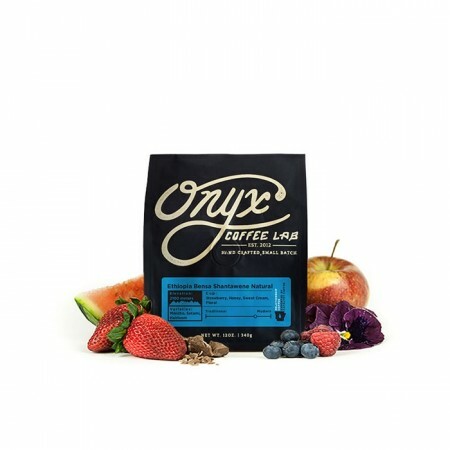 The Ethiopia Bensa Shantawene Natural was carefully roasted for you by Onyx Coffee Lab. This naturally processed coffee was grown in the small farming town of Shantawene in the Sidama region of Ethiopia at 2,100 meters above sea level. 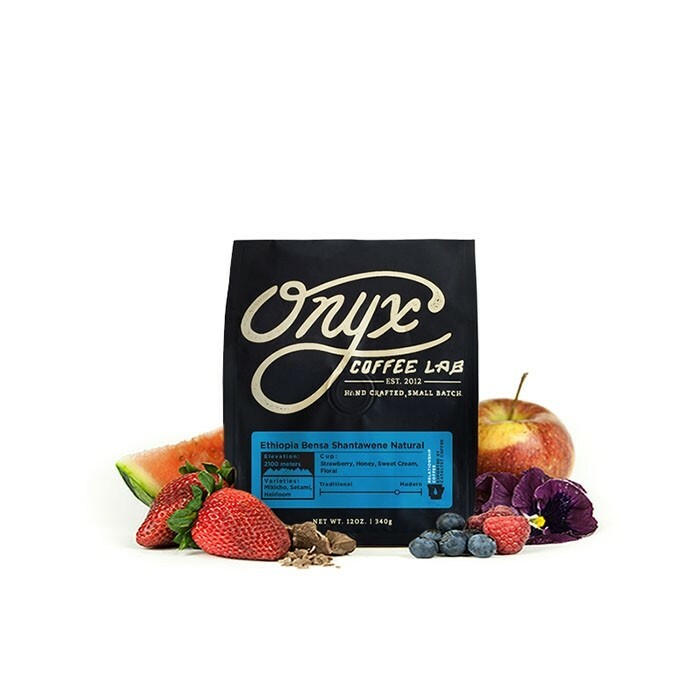 Certified Organic, this cup is dominated by fruity notes of strawberry and tropical fruit with a floral aroma, honey sweetness and heavy body that reminds us of sweet cream. Bleh. Couldn't get a good flavor. A very balanced natural. Can drink every morning without being overwhelmed. Great flavor profile. One of the best! Great fruity/blueberry taste. Very clean Ethiopia natural. This was a vibrant and exciting bag for me. The fruity flavors really pop on this one. Loved it!! One of the best natural Ethiopians. Strawberry, juice, sweet. Absolutely incredible. Just bursting at the seams with flavor. Exactly what we love in a coffee! Brewing pour-over yielded crazy berry flavors (although not quite to the extent of my favorite Ethiopia natural, Olympia's Ethiopia Banko Natural). Also enjoyed this pulled as espresso - both alone and with smaller ratios of milk.